Turn a standard natural or LP gas-fired Peerless® PureFire® boiler into a large volume, hot water supply boiler with our simple PF to PFW conversion kit! 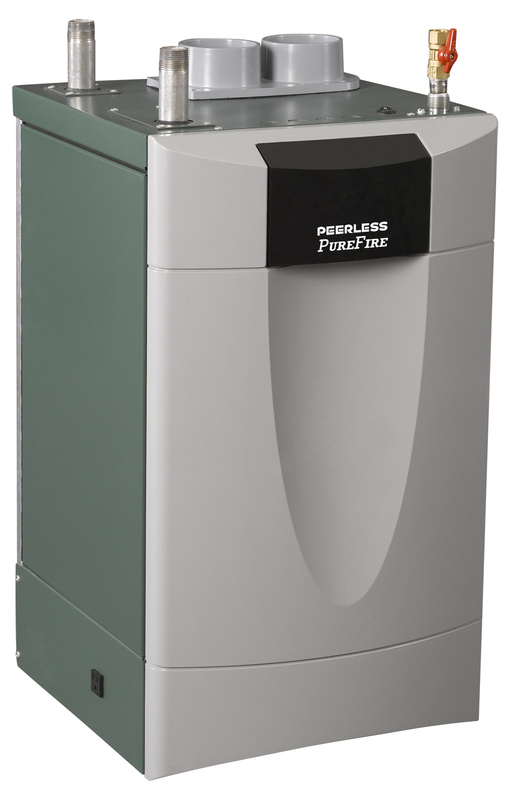 The kit is available for PureFire® boiler models PF-200 or PF-399 which then become PFW-200 or a PFW-399 hot water supply boilers after the conversion kit is installed. The PFW boiler models are compliant with the lead-free requirements of the Safe Drinking Water Act and also feature Low NOx operation. See your local dealer or rep for more information. 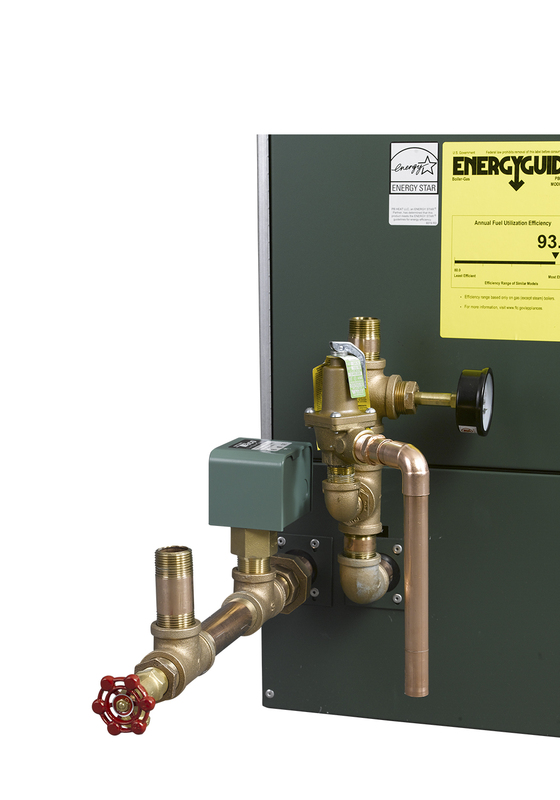 NOTE: Consult factory before selecting a boiler for installations having unusual piping and pickup requirements, such as intermittent system operation, extensive piping systems, etc. 1 Heating Capacity and Annual Fuel Utilization Efficiency (AFUE) ratings are based on U.S. Government test. 2 Net water ratings are based on an allowance of 1.15.